Over the past few years I have been photographing at 1940s events as part of my ‘Relive & Remember’ project. I have now culminated my work into an exhibition at Dean Clough Photographic Gallery, which opens on the 10th of October. There will be an opening event from 12 noon, where drinks will be provided. The exhibition at Dean Clough opens on the 10th of October at 12 noon, and runs until the 17th of January 2016. 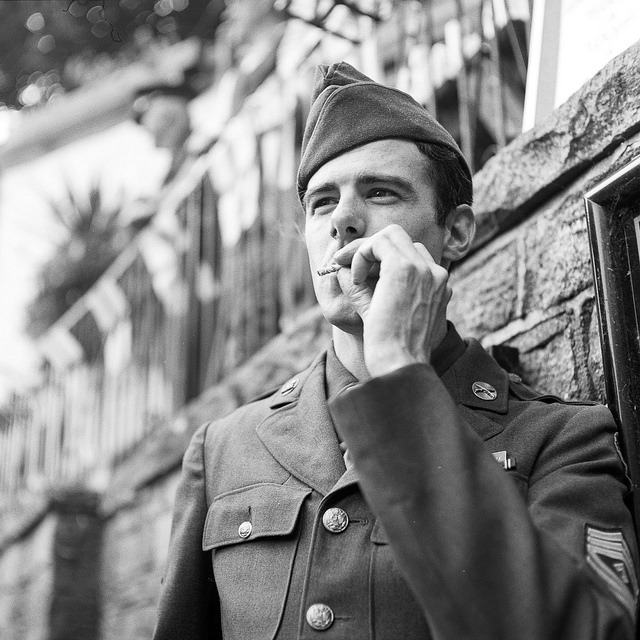 I have put together 25 of the best photographs from the past two years of 1940s event photography, each of them taken on my Mamiya C330F medium format camera. I have created a series of portraits and still life photographs that have attempted to replicate photographs taken at the time, in an attempt to produce work that simulates the past. I will also be showing copies of my self published book of the same name, which contains over 65 images that I have taken over the course of the project. Dean Clough is situated on the outskirts of Halifax town centre. There is a vast car park to the rear, with plenty of pay and display parking space. The Photographic Gallery is located on the second floor of the building. You can find directions to Dean Clough gallery here.